Save the date for the premier showcase of food and beverages in the city when the Seattle Wine and Food Experience returns Sunday, February 22 at Seattle Center Exhibition Hall. Experience a world tour of wine with special focus on wines from featured wine regions and an array of craft spirits, beer, cider and Northwest chef prepared gourmet bites. Throughout the gastronomical event guests will learn about and taste a wide offering of quality products through “experiences” and event features. Les Dames d’Escofier Seattle will be back as our charity partner and their talented membership will return to showcase their products, food and beverages. 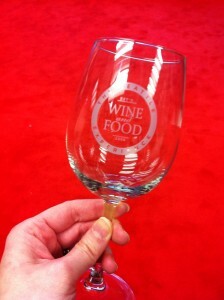 Woodinville Wine Country will be pouring again as our Featured Wine Region bringing more than 30 wineries to the event. Also returning to this year’s event is Stella Artois, Washington State Potato Commission, Top Pot Doughnuts, Bill the Butcher, Seattle magazine and Sip Northwest magazine (and their distillery row!). Save the date – It’s a Great Place to Taste!